It was around 3,000 B.C.E., when a great flood plagued the Middle Kingdom, with torrential rain submerging entire hills and valleys. Year after year, masses of people were left homeless and forced to flee to mountaintops. After relentless urging from his advisors, the emperor appointed a distant relative named Gun to control the ongoing flood. Gun spent nine years building dams and dikes to barricade the waters. But his efforts were to no avail: the floodwater simply rose higher and higher. It seemed unstoppable. During this time, the aging emperor chose his successor: Shun. After Shun acceded to the throne, he toured his kingdom and found Gun incapable of controlling the flood. Gun was disposed of, and his son Yu put in his place. After Yu received this important mission, he thoroughly changed his father’s methods. He personally traveled the entire country with a select group of aides to study geography, measure elevation, and mark down river channels. He worked alongside the common people to dredge the riverbeds, which opened up river courses and allowed floodwaters to drain into the ocean. He also built a system of canals so the waters could irrigate the farmers’ fields. Yu staunchly continued this work for 13 years. It was said that he soaked so long in muddy waters that all the hairs on his legs rubbed off; he worked so long under the scalding sun, his skin was tanned to a very dark brown; and he shoveled so long dredging riverbeds, that his hands were calloused beyond recognition. But after 13 unflagging years, the flood that had troubled two generations was successfully controlled. Story also has it that when he left his home to fulfill his duties, Yu had been married for only four days. During the years that he was journeying through the country, he happened near his house three times. Yet not once did Yu allow himself to see his family for fear of delaying his task—not even when he heard the wailings of his newborn son. The people felt such profound reverence for Yu that they gave him the epithet “the Great.” And Emperor Shun was so impressed with his work that he passed the throne to him. 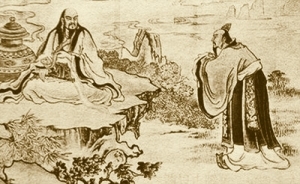 Yu the Great went on to establish dynastic rule by founding the first dynasty in Chinese history: the Xia. 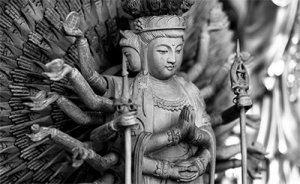 Ancient China was a land where gods and mortals lived in tandem and created a divinely inspired culture. 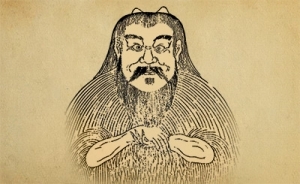 And so it became that early Chinese history and mythology are wholly intertwined. 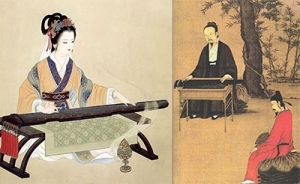 Our new “Mythistory” series introduces you to the main characters of the marvelous legends of China.